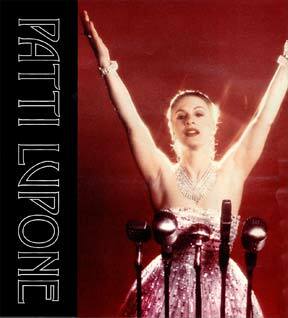 Patti LuPone first exploded into the general public’s consciousness in 1980, when she created the title role in Andrew Lloyd Weber’s Evita. Her Tony and Drama Desk award-winning performance in that show was just the first of a host of memorable performances on Broadway and in London, as well as in films and on TV. LuPone’s beautifully unforgettable voice has also captivated thousands in clubs and concert halls all over the world. This month, at the Phil, she premieres a brand new concert, Lady With the Torch, for the Naples’ audience. Gracious and with a solid sense of humor, LuPone recently talked with N Magazine about her upcoming concert, her road to stardom and her future plans. Q. You have done so much – Broadway, films, TV – but how did Patti LuPone become Patti LuPone? A. (laughs) I’ve been performing since I was tap dancing at Northport Elementary School on Long Island. I was in the first class of the drama division at Julliard School in New York. They had just started the drama division – to the horror of the music students. It was intense. We worked 13 hours a day, six days a week. What the teachers were doing was they were trying to apply Russian and European techniques to Americans. It was a remarkable experience. Q. And after Julliard? How did you make it from there to Broadway? A. John Houseman (one of her professors at Julliard) formed a professional acting company, and I toured with them for a few years. A lot of us left that company and went directly to jobs on Broadway. I knew I had a voice for Broadway. I’d known that since I was a kid. But, actually, at school, I fell out of love with musicals and in love with drama. And then I met David Mamet (who subsequently tapped LuPone’s talents for a number of his shows). Q. In addition to originating the role of Evita, you also created the role of Fantine in the London production of Les Miserables. What was that experience like? A. I was thrilled to death to be in London! It harkened back to my Julliard days – to be working with the Royal Shakespeare Company, performing at the Barbican. I was asked to do the role in the New York production, but I turned it down. It was a tough decision, but London had been the perfect theatrical experience. That was MY show. Q. How did you segue from shows to cabaret and concert performances? A. Years ago, when I was doing Evita, I noticed my applause dipped after Mandy Patinkin (her co-star) came out. And I thought, ‘What more can I do? I’m sweating blood here!’ In the old days, the big stars like Martin and Merman would do a set at the Stork Club after shows. So I thought, ‘Maybe it’s time for me to show people what I look like. That I’m not a blonde fascist tap dancer.’ So I started doing a cabaret act at Les Mouches on Saturday nights. It was such a hit, it played for 30 weeks. I learned so much about delivery and connecting with an audience. Q. What is your Lady With the Torch show like? A. I’ll be debuting both Acts 1 and 2 for the first time in Naples! I’ve done the first act before, but this will be the first time for the whole show. It’s a show of torch songs. But we didn’t want to send the audience out to slit their wrists. So, as I worked the show, I discovered it was really about a woman reflecting on a situation while she is in it. In the second act, I’m much more waifish – as if I’ve just discovered myself. I originally wanted to do a show of bluegrass music, but Scotty (Wittman, her collaborator/director) knows best. And my voice is well suited to torch. I hope the audience enjoys the show. A. (laughs) Retirement to Naples! I hope! I’d kind of like to lie in bed all day. And I love the west coast of Florida. It’s beautiful here.